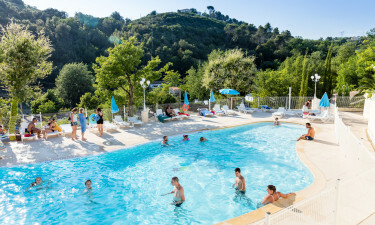 Located only 5 kilometres from the shores of the French Riviera, Green Park is a holiday camping site not to be missed. Learn more with the help of Lux-Camp. What Does Green Park have in Store for My Camping Holiday? A total of 156 pitches. The possibility to rent a luxurious mobile home. Access to a pristine and gorgeous coastline. A host of outdoor activities to choose from. 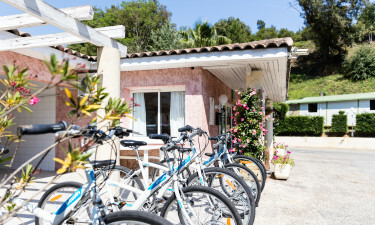 This holiday camping site provides guests with countless modern conveniences. These include a washing machine and a dryer, infant changing facilities, wireless Internet access and power supplies to each of the 156 individual pitches. It should be noted that all facilities are able to be accessed by those with wheelchairs. Another great aspect of this luxury camping resort is that there is a wide spectrum of events for the entire family to enjoy. Those with children may select Green Park due to the ability for staff to entertain the younger generation. A children's club is available for those who are aged between 5 and 12 years. Evening entertainment, live shows and even dances are regular occurrences. This is a supermarket located within the confines of this luxury camping site. Basic camping supplies as well as fresh produce and bread can be purchased. Hot takeaway food is provided and block or cubed is offered for the warmer days of spring and summer. Stationery supplies such as international newspapers are available. Please note that it is wise to check the opening hours of the supermarket. 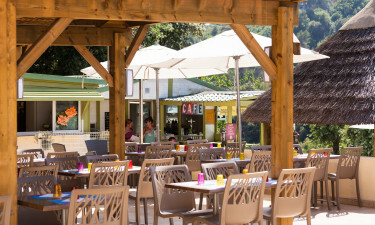 Green Park offers an on-site restaurant to all of their guests. Traditional French cuisine is prepared by expert chefs while an international menu can cater to the needs of foreign visitors. A bar is also located within this restaurant for those who wish to enjoy a tasty cocktail before or after any meal.